At CA General Home Remodeling , we provide the dependable and outstanding contracting service you are looking for. A professional remodeling and contracting service with a reliable crew that will do the job according to your needs. 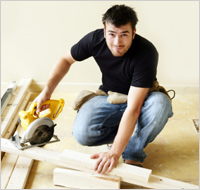 Our reliable crew will provide you with a professional remodeling service adjusted to your needs. Complete Home Remodeling, Bathroom Remodeling, Kitchen Remodeling and Home Additions. Backed by state-of-the-art computerized estimating and project management, as well as by competitive prices and the finest service, we know how to improve the accuracy of your project. So please think of Us for your next Home Remodeling or Construction Project!